To book your free In Store Bed Consultation, simply fill out the form below and click submit. One of our consultants will be in touch very shortly to find out more about your needs and to make a time. The SleepMaker Mozart bed has been designed with the SleepMaker Together Alone® system to confirm beautifully to the body whilst minimising partner disturbance. The combination of comfort layers and SleepMaker’s pocket spring technology work perfectly together so you and your partner can sleep together…alone. 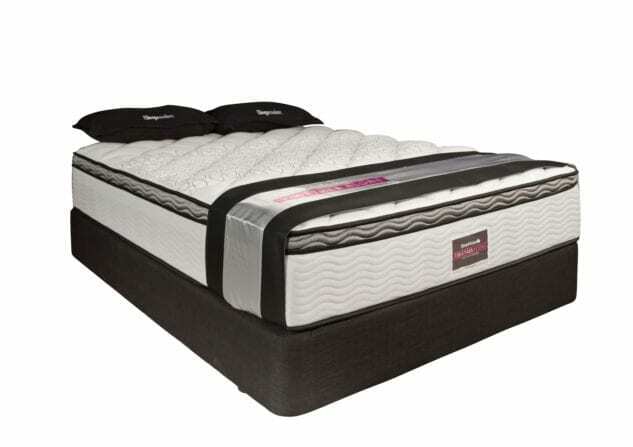 SleepMaker beds are made in New Zealand and all come with a 10 year warranty. Please allow 2-3 working days following receipt of payment for your McKenzie & Willis purchase to arrive. Please note that deliveries will not be made to PO Box addresses, courier delivery only. As most of our beds are made to order, a team member will be in contact with you to organise delivery following receipt of payment. Delivery time is usually 2-3 weeks but can vary depending on delivery location or manufacturing lead times. For current lead times, please contact us. A team member will be in contact with you to organise delivery following receipt of payment. Delivery time is usually 2 weeks. This website only allows for delivery within New Zealand. For international delivery please email enquiry@mcw.nz with the products you would like to purchase. We will contact you within 24 hours to discuss delivery costs and complete the transaction offline. * These freight charges are only for purchases made via the McW Online Store and completed through our online check out. Purchases for larger items in store or via phone/email will have different freight charges and delivery times. Click here to view our Returns Policy.